Edgardo says that he added the “Perros” (Spanish for ‘dogs’) to his name because it’s indicative of his work and let’s people know that he is dedicated to his mission of helping stray dogs. The 49-year-old animal lover is aware that other people prefer to pour their time and resources into helping children, other people or endangered species, but he set out to become a “guardian angel” for dogs and he plans to see his plan through to the end. “It is never too late for us to do something good, no matter what mistakes we have made in the past,” Edgardo “Perros” Zuniga told Quinta Fuerza. “Even if there is no food or medicine, I try to rehabilitate them with love and affection and put them up for adoption. Edgardo has been travelling all over Mexico on a simple tricycle which helps him transport basic supplies for himself, and lots of medicine and food for the dogs. He takes on odd jobs to be able to feed and take care of his dogs, but he also relies on the kindness of others. 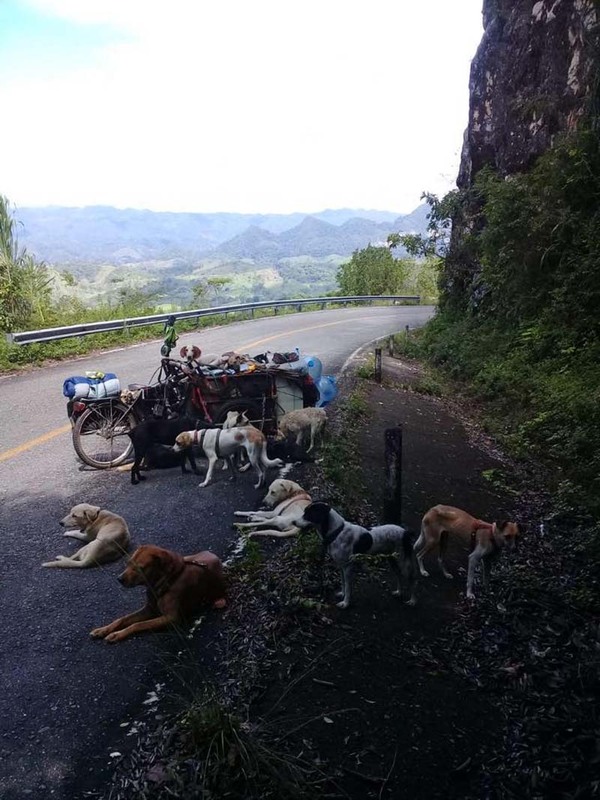 Ever since a video of him went viral on Facebook in 2016, people started approaching him and his pack of travelling canines, offering to help him out any way they can. The 48-year-old man calls his mission a “journey to awaken people’s consciousness”, adding that he never asks anything of anybody, only that “they see what these loyal animals can do for us humans”. 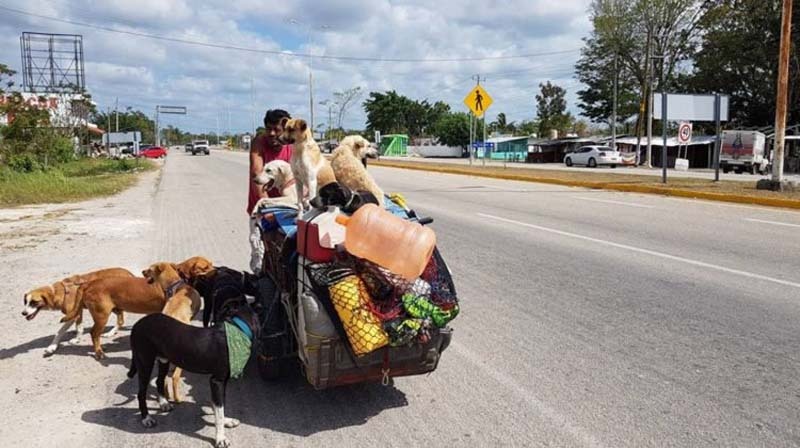 Every state and province he passes through, Edgardo rescues more dogs which temporarily join his pack before being turned over to activists or veterinarians who try to find homes for them. Because he is always on the road, he can’t adopt them all permanently, but he tries to make their lives better in any way he can. “Dogs are full of love and protection, that’s why it’s important that we take care of them as well,” Perros recently told EFE.